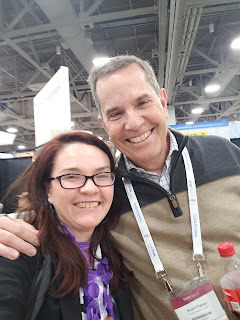 RootsTech is officially over. 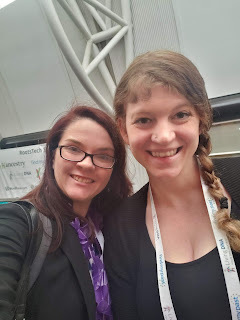 The last two days (Friday and Saturday) were a bit of a whirlwind. Early that morning I attended the MyHeritage Friends breakfast. It's always a fun opportunity to learn about some new features and announcements (including some news ahead of the keynote). 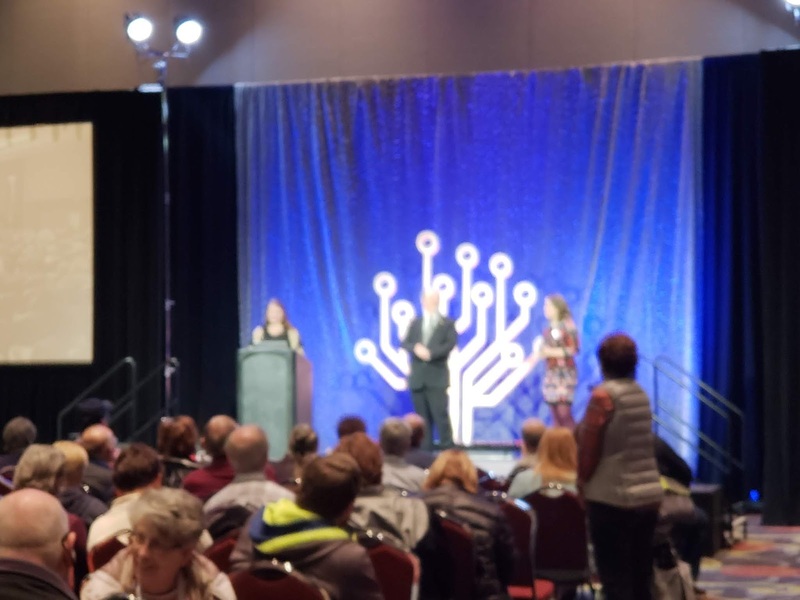 The big news is that MyHeritage will donate another 5000 DNA kits to help adoptees and their families reunite. You can apply for a DNA kit on www.dnaquest.org. I then attended the power hour hosted by my company, American Ancestors. 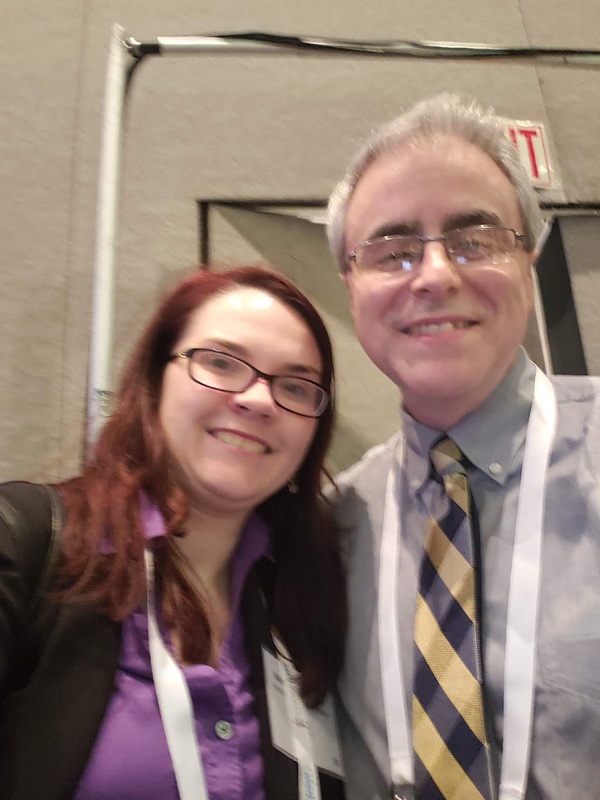 The session was "Breaking Down Genealogical Brick Walls: Strategies for Success" I thought it was a great session and was well attended. Lots of great tips on how to use records on extended family, associates, and neighbors to bust down those pesky brick walls. Later I attended the American Ancestors luncheon where my colleague Claire Vail, Director of Creative and Digital Strategy, discussed the Mayflower web site. The site has a lot of great features to learn about the passengers and connect with others who are also descendants. We will have more activities leading up to Mayflower 400. 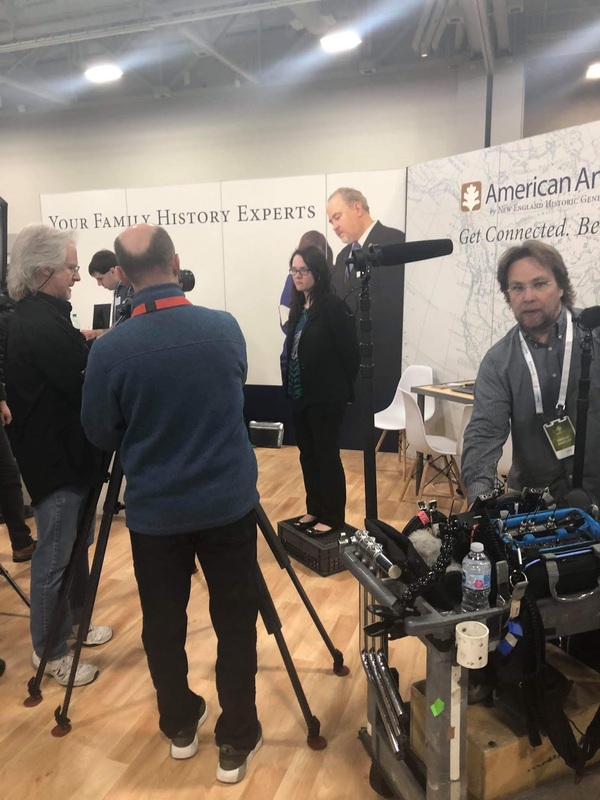 I had an interview later that day with the RootsTech crew team. They were filming several of the speakers and ambassadors to speak on who they are, why they come to RootsTech, give some tips and tricks, etc. I can't wait to share it when it's ready. It was a cool experience - felt like a movie star. I'm a bit short so I had to get up on some egg crates so you can see me. I went to the keynote to see Saroo Brierley. He had an amazing story on how he found his family in India years later. I need to check out the movie "Lion" for sure and catch up on more of his story again. Later that day I attended a lecture for my colleague, David Allen Lambert. He talked about the different archives and web resources of New England. It was a fabulous lecture with a lot of great resources on how to discover more about your New England roots. I started the day with another power hour by my colleagues. It discussed more about what we do. We have a wide range of services including our web team, our genealogist services (including consultations, ask a genealogist, etc. ), photocopy service, research services, etc. I then added a lecture by my friend Debra Dudek called "Tracing Female Ancestors in WWI Military and Non Combatant Records". 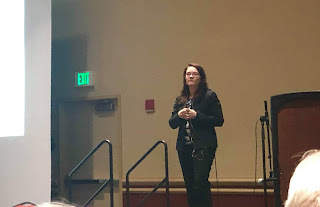 This lecture had a lot of great resources and Debra is a fun speaker to listen to, especially with her ferret impersonation of going through records. I definitely have a lot of great ideas to help track the women in my family that were involved with the war effort. 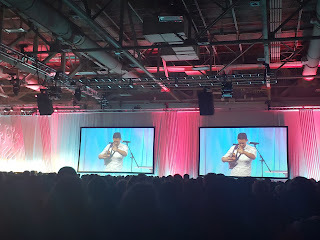 The last keynote was with Jake Shimabukuro. He can really play the ukulele! He led the audience in a sing-a-long of "Bohemian Rhapsody". I'm sad I missed that part as I had to dash off to the 23andMe luncheon. I'll be catching up on the live stream for sure. The 23andMe luncheon had a presentation on some of the features you can do with the web site. More health reports and the interface has changed slightly. I know I need to dig in more with the map feature that they have. The maze they had in the Expo Hall was pretty interesting - lots of different things you can see with your data. I went back one more time to the Expo Hall to go explore more of the vendors. 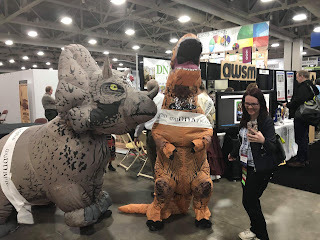 I had a nice chat with the woman at the Bureau of Land Management booth and they discussed they were updating their GLO web site. I can't wait for the updates. I use this site regularly to help people discover their homesteading ancestors. It was also fun catching up with others and talking about the non-profit I'm on the board for called The NextGen Genealogy Network. We have an upcoming scholarship deadline on March 15th and can't wait to read all of the essays. I gave my final lecture that afternoon on Roman Catholic church records and it was well received. 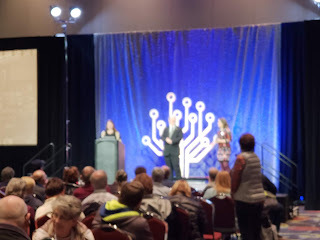 I still can't believe I had two sessions at RootsTech my first time lecturing. I'm honored for this privilege and can't wait to come back again. 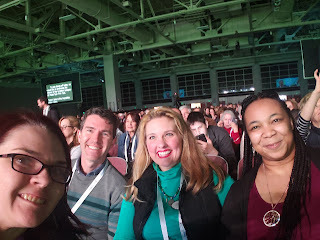 I hope you enjoyed my reporting of RootsTech. Most of my updates can be found on my Twitter account. I will continue to update Facebook and Instagram over the next few days. What was your favorite part about RootsTech? Here are some additional pictures from my trip. 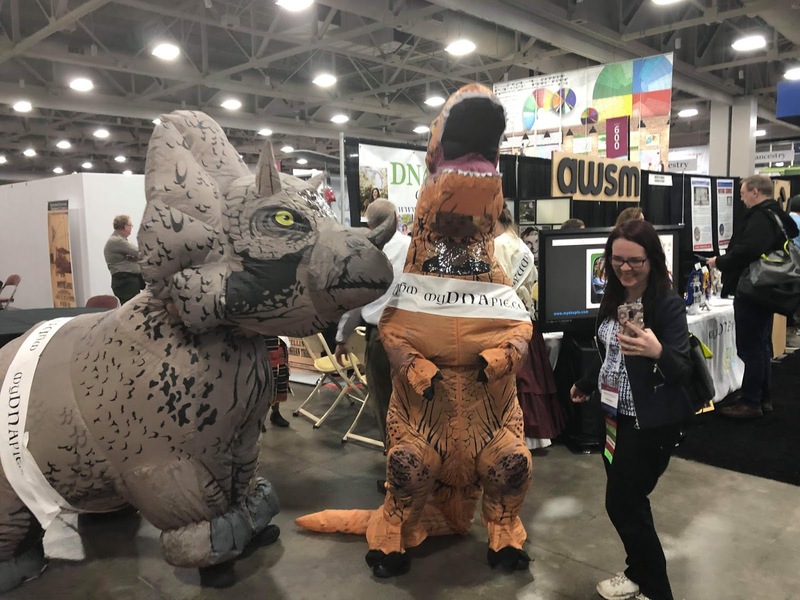 RootsTech 2019 is speeding by so fast. Yesterday was a very full day. 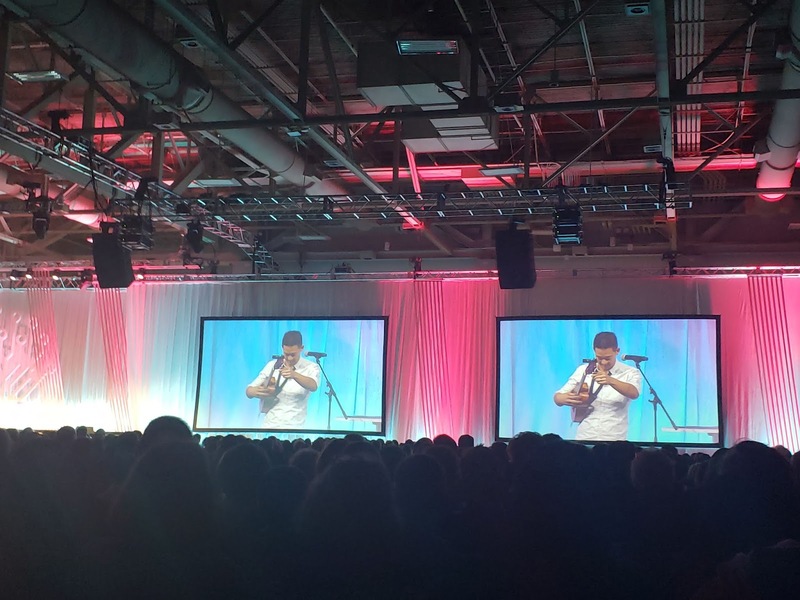 Ancestry sponsored the keynote session. Some of the key features that were rolled out are tags for DNA as well as incorporating newspapers.com into search results using OCR software. The star celebrity for the keynote was Patricia Heaton. She shared a lot of stories about her family. I really enjoyed seeing the reveal with all of the different Catholic records that were found on her family. It was a nice tie-in to my lecture later that day. 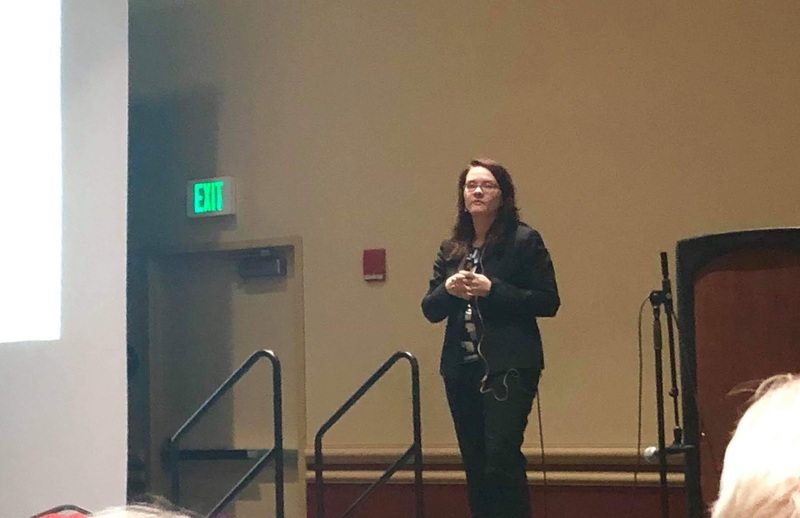 Speaking of Catholic records, I lectured for the first time at RootsTech. It was an unforgettable experience (definitely a bucket list item that I had on my resolution list). The attendance was awesome and I received great feedback. I'm lecturing again tomorrow (Saturday) at 3 pm if you missed my first lecture. 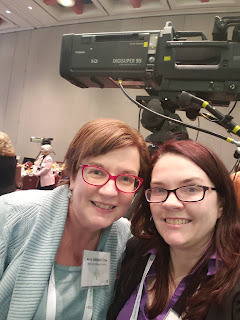 Last night I had the honor attend the FamilySearch VIP dinner for the first time. I It was a great networking opportunity to talk with others in the industry and share stories. I talked about my paternal grandfather who was a World War II veteran at our table. 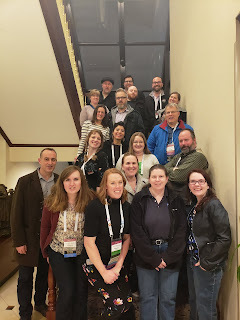 To end off the night, we had our annual NextGen Genealogy Network meetup. We had approximately 50 people coming by. It was one of our largest gatherings. Thank you to everyone who came out and showed your support. 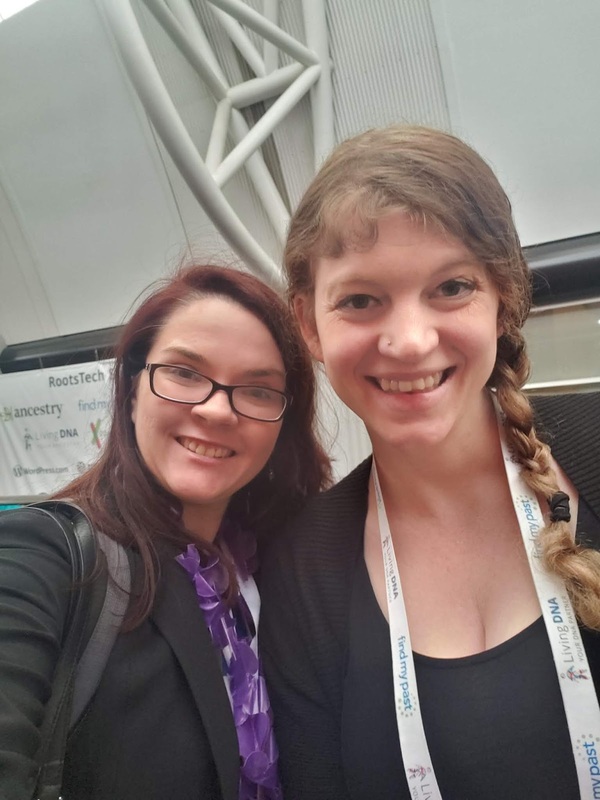 We can't wait to do the next meetup at another conference near you. Update: I also attended the Ancestry luncheon where they showed a video "Railroad Ties" of bringing back people who were descendants of people who fled to freedom during the Underground Railroad. It was a really emotional video.